Research projects are an integral component of the ESS program. Below are some examples of previous research by ESS Students. A large portion of life cycle transportation impacts occur during vehicle operation, and key improvement strategies include increasing powertrain efficiency, vehicle electrification, and lightweighting vehicles by reducing their mass. 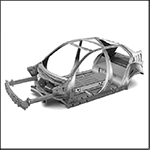 The potential energy benefits of vehicle lightweighting are large, given that 29.5 EJ was used in all modes of U.S. transportation in 2016, and roughly half of the energy spent in wheeled transportation and the majority of energy spent in aircraft is used to move vehicle mass. ESS students Cailin Buchanan and Krutarth Jhaveri collected and reviewed previous work on lightweighting, identified key parameters affecting vehicle environmental performance (e.g., vehicle mode, fuel type, material type, and recyclability), and proposed a set of 10 principles, with examples, to guide environmental improvement of vehicle systems through lightweighting. These principles, based on a life cycle perspective and taken as a set, allow a wide range of stakeholders (designers, policy-makers, and vehicle manufacturers and their material and component suppliers) to evaluate the trade-offs inherent in these complex systems. This set of principles can be used to evaluate trade-offs between impact categories and to help avoid shifting of burdens to other life cycle phases in the process of improving use-phase environmental performance. Currently, there is no consensus on appropriate methods for calculating greenhouse gas emissions resulting from specific electricity loads. 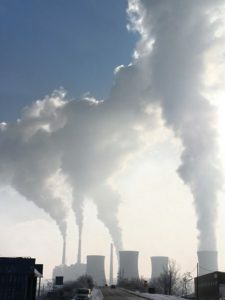 Previous research revealed significant differences in emissions when different methods were used, a situation that could result in divergent sustainability or policy recommendations. ESS student Nicole Ryan illustrates the distribution of emissions estimates based on method characteristics such as region size, temporal resolution, average or marginal approaches, and time scales. Informed by these findings, a decision support algorithm is presented that uses a load’s key features and an analyst’s research question to provide recommendations on appropriate method types. the article defines four different cases to demonstrate the utility of the algorithm and to illustrate the variability of methods used in previous studies. Prior research often employed simplifying assumptions, which, in some cases, can result in electricity being allocated to the incorrect generating resources and improper calculation of emissions. This algorithm could reduce inappropriate allocation, variability in assumptions, and increase appropriateness of electricity emissions estimates. In the United States, information concerning energy and greenhouse gas (GHG) emissions for light-duty cars and trucks has traditionally been presented in terms of fuel economy i.e. miles per gallon. Since gasoline and diesel vehicles have historically dominated the new vehicle fleets, this was an appropriate basis on which to evaluate and compare the energy consumption and emissions characteristics of new vehicles. However, fuel economy is not as accurate of an indicator for electric vehicles (including both plug-in hybrids and battery electrics) since the associated emissions from these vehicles depends on the fuel mix used to generate the electricity. In his work as part of the U.S.-China Clean Energy Research Center – Clean Vehicles Consortium, ESS student, Nathan MacPherson, evaluated the U.S. EPA vehicle label by modeling a plug-in hybrid (PHEV) and a pure battery electric vehicle (BEV) from a vehicle life cycle perspective. Regional variations in greenhouse gas emissions from electricity use and variations in the utility factor (fraction of PHEV driving on electricity) were explored. The life-cycle model results showed that only 25% of the representative PHEVs life-cycle GHG emissions were reflected on the EPA label. Furthermore, a 100 gCO2eq/mi difference was found between the PHEV operating in the highest and lowest carbon intensive electric grid regions. As vehicle manufacturers continue to increase vehicle efficiency in response to more stringent regulation, advanced powertrains and vehicle lightweighting have become major technologies of interest. Manufacturers are likely to rely on a combination of both technologies to meet new fuel economy standards, combining lightweight and energy intensive materials like aluminum with the electrified powertrains such as those in plug-in hybrid electric vehicles (PHEVs). 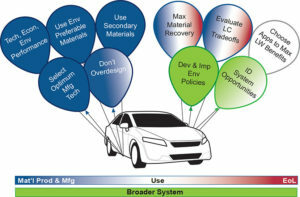 When considering the overall environmental impact of these designs, life cycle assessment should be used to ensure that decreases in vehicle energy consumption are not offset by increases in energy use from material production. ESS student, Joseph Colett, part of the U.S. – China Clean Energy Research Center – Clean Vehicles Consortium, is modeling U.S. primary aluminum production and light-weight PHEV energy use in an effort to quantify life cycle greenhouse gas emissions. Preliminary results indicate that large variations in life cycle greenhouse gas emissions exist between aluminum production regions and that these variations in material production can influence the overall environmental performance of aluminum light-weighted PHEVs. Air conditioning is responsible for 13% of all energy demanded by the residential sector the United States. 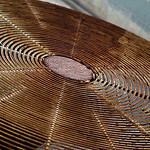 The average efficiency of new central air conditioning equipment has risen overtime. Replacing existing air conditioning equipment with new, more efficient equipment can save energy, but additional energy is required to manufacture the new equipment and dispose of the old equipment. A life cycle approach is needed to evaluate this tradeoff. During his ESS program, Robb De Kleine examined how the timing of replacement of central air conditioning equipment impacted the energy consumption, greenhouse gas emissions, and cost to the consumer. The project entailed disassembling a central air conditioning unit to understand and measure its material composition in addition to modeling the estimated energy consumption of the equipment based on the different climates in the US. In addition, other factors such as refrigerant leakage, duct leakage, and equipment maintenance were explored in different scenarios. The results showed that in order to minimize energy consumption equipment should be replaced on average every 3.2-8.2 years, while minimizing greenhouse gas required replacement an average every 6.8-14 years, and finally minimizing consumer cost required replacement on average every 10-21 years. Plug‐in hybrid electric vehicles (PHEVs) have been recognized for their potential to reduce petroleum consumption by using electric energy to power the vehicle during some or all driving times. 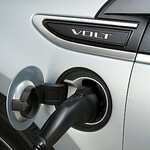 The Michigan Public Service Commission wanted to understand how sales of PHEVs would impact the electrical grid and the impact on total State emissions from both the transportation and electricity sectors. ESS students Jason McDonald and Allison Schafer as part of a team of SNRE students created computer models to represent the energy (petroleum or electricity) consumption of PHEVs based on driving behavior and to predict the mix of fuels (coal, natural gas, nuclear, hydro) used for electricity generation in the State at any given time over the next 20 years. They also considered several different charging scenarios to represent how and when consumers would be able to charge their vehicles. Across all scenarios, they found that PHEVs have the potential to decrease statewide GHG emissions 0.4% to 10.7% in 2030, and displace from 0.5 to 9 billion gallons of gasoline from 2010‐2030. Rising global demand for seafood and declining catches have created a new impetus to expand seafood production through aquaculture. Shrimp aquaculture has the potential to reduce pressure on overexploited wild stocks. An ESS student, Wenting Sun, studied the environmental impacts of indoor recirculating shrimp aquaculture systems using life cycle assessment. Having local indoor shrimp aquaculture systems can reduce transportation energy and emissions compared to shipping the shrimp from conventional outdoor aquaculture systems in China and southeast Asia. 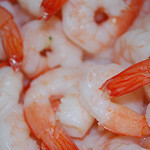 However, for shrimp consumers in Michigan, the research suggested that buying shrimp farmed on the US coast is environmentally preferable, because inland farms have a higher environmental impact resulting from the production of artificial saltwater, which outweighs the transportation benefit. Compared to buying Michigan-produced shrimp, purchasing shrimp from the Southern coast saved 70% of total life cycle energy. Fuel economy standards will propel America’s vehicle technology, if we let them.